Waffles Too and I are on a mission. 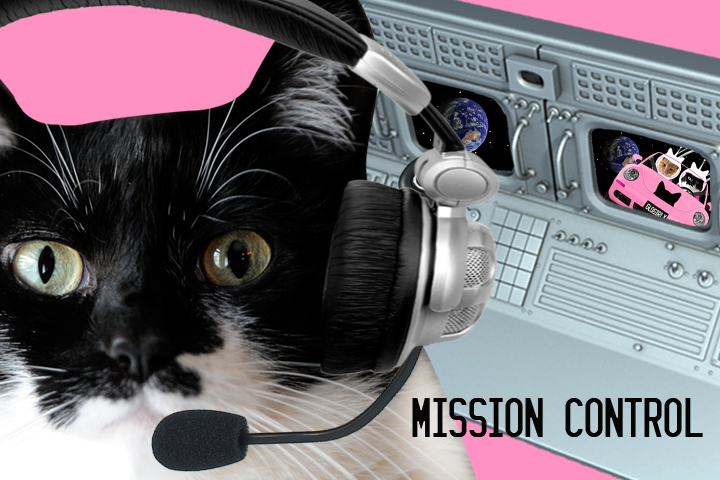 A mission to win the 1-800-PetMeds Cat Naps & Dog Dreams Competition. All we had to do was come up with a clever photo of what Waffles Too dreams about during his extended cat naps. Since a picture of my food dish seemed kind of boring, we decided to go with space travel. He doesn't have his license yet, so I had to drive. Our Competition Entry: "Waffles Too to Ground Control"
We're in second place for votes, so we need your help! All you have to do is click on the link and then share our entry on Facebook and/or Tweet it. There's little buttons to make it easy. For every share and every tweet we'll get a vote. ...sorry, if you're not on FB or Twitter, you won't be able to vote. But you CAN read the story Glogirly and I wrote to go along with the photo. Pee S: Speaking of contests...did you hear??? 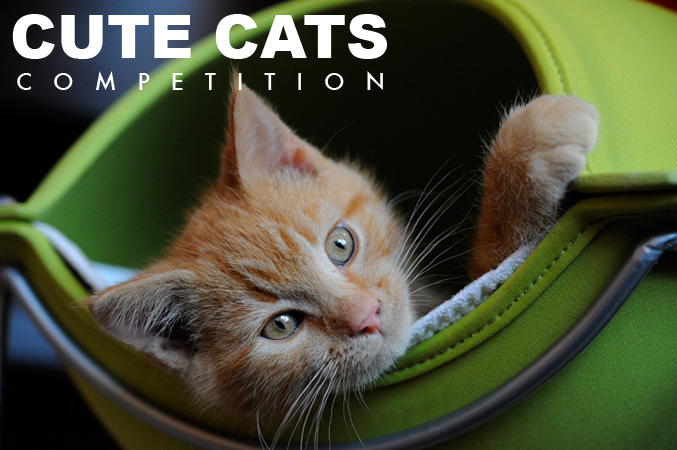 We WON (ok, Waffles Too won) the Cute Cats Competition over at Eric & Flynn's Adventures! Thank you SO much for all of your votes!!! Waffles Too is going to use his prize to replace all my DaBird feathers he's wrecked. ...I guess he's not so bad after all. 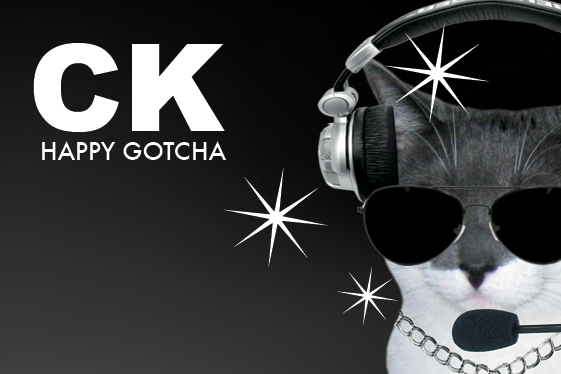 Pee Pee S: It's Cathy Keisha's 7th Gotcha Day today!!! Don't forget to swing by her pawty...I hear she might even be dancing on the table! That's a great dream! Hope you win! Congratulations on Eric & Flynn's contest! Yay! Waffles Too is ahead now! We voted by sharing you on Facebook. The twitter one did not work as it says the description is too long by 75 characters. Have a terrific Tuesday. We'll go check out the link! What a great dream! We're heading over to vote for Waffles Too. What a CUTE picture! Voted & shared! Good luck in this competition, I'm going to vote for you! waffles ...we doez knot haz facebook ore de burd acct sew we will say best fishes two ewe heer !! Voted. Say Katie are you down wid W2 entering all the contests and being the STAR of the family? That's not the Katie I knew and loved. Fun graphics as usual. It's called STRATEGY, CK. I'm just using the little monster's cute factor to my benefit. We all know it won't last forever. 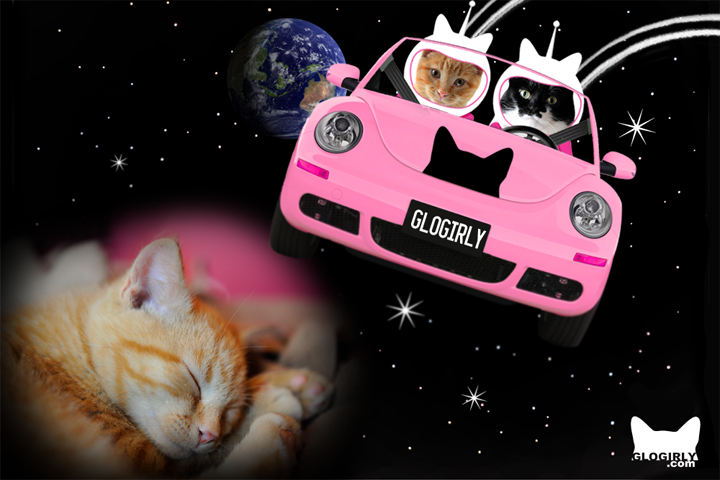 Do you think the goggie at the bottom is dreaming about you two dreaming about space travel? This could get pretty complicated, but we voted! I am gonna head off to. vote right now! That is AWESOME! We'll get our mom to post it to her FB wall! We would like to vote again, but it doesn't look like we can! We voted and shared on FB. You have 102, the dog has 115. We will see if it will let us vote again tomorrow. we knew he would win! concats!!! I just knew Waffles Too would win! Pawsome! And I too dream of flying in the universe...like Nerissa...I want my blog read from the space station...hhhelllloooo Houston!! YOu two are so adorable my mommy gets all gooy over you and can hardly type!! Love the picture! Will be off to vote in a few! Concats to W2 for winning the contest. See, Katie, that cute face IS good for something!